At first glance, the crypto space appears infinite. Fortunes are being won and lost as cryptocurrency, and the blockchain technology that underpins it, has the potential to shift how global financial markets operate. This is why I believe the industry presents such tremendous opportunity, and is crucial for any investor to have at least entry level knowledge about the sector. With that being said, the crypto world can be incredibly overwhelming, especially when you are just starting out. So…allow me to serve as your guide as you begin to navigate this new domain. Before I get into some of my recommendations as to where to start your journey on the crypto path, it is important to put a couple things on the table. First and foremost, remember that learning about this industry does not happen in a day, a week or a month. Trust me, even after completing a master’s degree where I focused a large part of my research on blockchain technology, I find myself learning something new every day. There has been an enormous amount of content produced about bitcoin and the blockchain, which can make the learning process feel daunting— but its sheer immensity is also what makes it so exciting and inspiring. No single resource will paint the entire picture so, I’ve hand-picked a number of information sources that I’m confident you’ll find compelling. This article is designed to act as a reference guide that you can continue to revisit as you enter deeper into your crypto research. I encourage you to forgo registering for an exchange or buying and trading until you have a firm grasp of the fundamentals. By getting increasingly comfortable with bitcoin and its key concepts, you will also be introduced to “the blockchain,” which is the underlying architecture that bitcoin operates on. Most cryptocurrencies run on their own native blockchain. 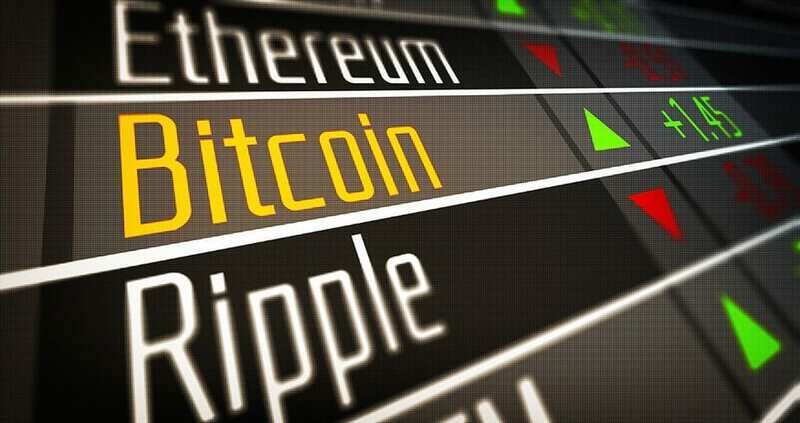 They may differ from one another in terms of their specific processes but they basically all follow the same general rules and models, which can be best understood through analyzing the properties of bitcoin. With that said, I will suggest some foundational articles to read, videos to watch and podcasts to listen to. Some may work better than others for you and your learning style, which is why I’m providing an assortment of resources. Online reading material is a great place to begin, so I want to propose some articles that can kick-start your learning. I love the “beginner guides” by Blockgeeks, which is a blockchain technology company that also offers courses on the subject. They have detailed primers including “What is Blockchain Technology,” “What is Bitcoin,” and “What is Cryptocurrency.” If you feel the need to dive deeper, you can look up their entire list of educational articles. If you prefer podcasts rather than sitting in front of your computer and reading, I advise listening to episodes 2–14 of The Bad Crypto Podcast, starting with “What is Bitcoin? Explained in Simple English.” Joel Comm and Travis Wright outline complex technology in a fun and digestible way. I believe that even passively listening while you’re driving or working has tremendous value. The more you hear about these ideas and become acquainted with the terminology that goes with them, the more comfortable you will be in the crypto world. YouTube also offers a substantial number of learning tools. For up-to-date market news and information about specific coins, I love the Boxmining YouTube channel. Michael Gu’s “What is Bitcoin” video does a great job of explaining the currency in general terms. It is part of his larger “Nutshells” series, where he reviews coins (i.e. litecoin, ripple, etc.) and their different attributes in a condensed and clear manner. I am also a huge fan of Jackson Palmer’s “Crypto Explained” series, which begins with “What’s a cryptocurrency.” He is one of the most educational voices in crypto and his YouTube channel is really worth subscribing to. If you’re looking for something comprehensive, Khan Academy has a 9 video series called “What is Bitcoin,” which introduces the currency’s main features while going into detail about it how functions. Beyond just looking at the technology itself, I think it’s also necessary to get accustomed to the crypto world’s principal ideologies. The industry is dominated by several distinct viewpoints relating to the nature of money, privacy and governmental control. The better you grasp these concepts, the better you can understand why (so many) people think crypto technology has the potential to change how commerce will take place in the future. Andreas Antonopoulos is a leading figure in crypto, being one of its top speakers and educators. His presentation entitled, “Introduction to Bitcoin” delivers a high-level overview of the dominant philosophies behind the technology. Even if the ideological side of crypto is not what interests you, I think learning about this area will really support your understanding of the technology and the reasoning behind its invention, design and adoption. I have provided you with a selection of fundamental material, some of which may be more compelling to you than others. Keep in mind that there is no one way to go about exploring the space, so pursue whatever works for you and what aspects interest you the most. After you feel like you have a general grasp on bitcoin and the blockchain, I have some additional thoughts on potential next steps. The Unchained podcast by Laura Shin is an industry favorite and features captivating discussions with the brightest minds in crypto. She covers everything from regulation to mining to notable companies. She also has a shorter podcast called Unconfirmed which I highly recommend. This is released once a week and focuses on current events. If you are craving even more—I advise subscribing to Off the Chain, hosted by Anthony Pompliano. He interviews major crypto players as well as people with a traditional finance background, which opens up an intriguing dialogue as to where crypto sits within the globalized technological and financial ecosystems. 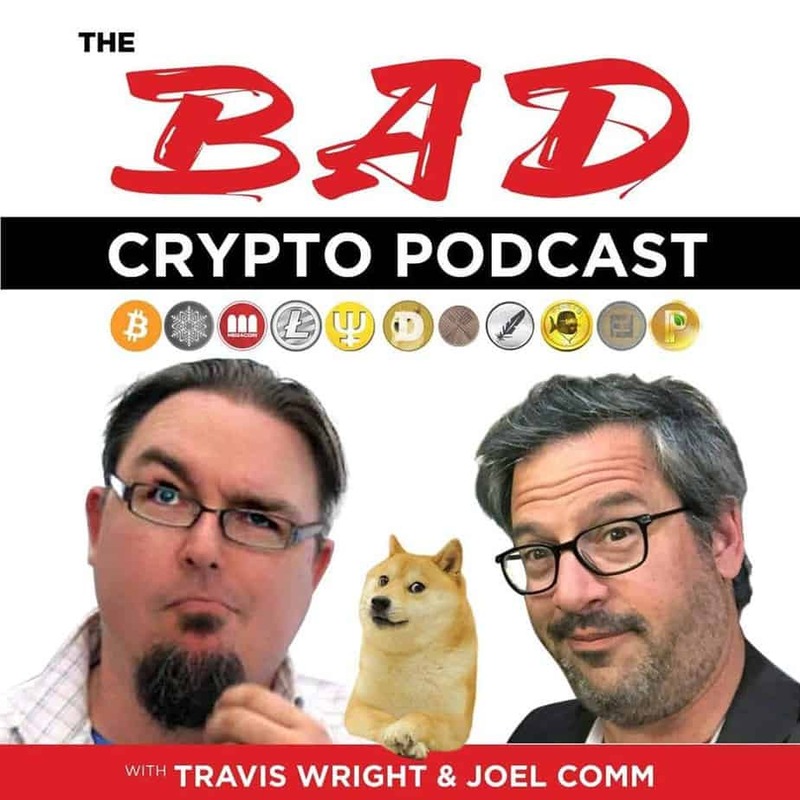 It is my new favorite blockchain/crypto podcast. I also couldn’t write an “introduction to crypto” article without mentioning Twitter. It is one of the most important forums for discussion and breaking news in the space. If you are interested in any particular coin, company or person that is crypto related, they will be on Twitter. Meltem Demirors, @Melt_Dem – Meltem is not afraid to both evangelize for and criticize crypto technology and its creators. She also writes great Medium articles which she shares on her feed. Vitalik Buterin, @VitalikButerin – Vitalik is the co-founder of ethereum, perhaps the most famous person in all of crypto and a brilliant mind. When he talks, people listen. Linda Xie, @ljxie – Linda shares useful articles and podcasts, has compelling thoughts and responses to crypto news and discussions. Jimmy Song, @jimmysong – Jimmy is a bitcoin maximalist, outspoken critic of ethereum (among other coins), and shares interesting perspectives on the state of the industry. Elizabeth Stark, @starkness – Elizabeth is the co-founder of Lightning Labs and is able to explain complex technical concepts in very simple terms. Joseph Young, @iamjosephyoung – Joseph has up to date information from around the world, and shares first hand perspective on what is happening in the crypto markets/community in Asia. Amber Baldet, @AmberBaldet – Amber often comments on the politics of crypto, and provides observations on the latest happenings within the ecosystem. Charlie Lee, @SatoshiLite – Charlie is the creator of litecoin. His feed is your destination for all things happening with the currency, and he is one of the most followed crypto characters. Brian Armstrong, @brian_armstrong – Brian is the CEO of Coinbase, a company that can shift the crypto markets with their announcements. The crypto community’s reliance on Twitter speaks to how fast-paced the space is, however, there are also a few books that have stood the test of time. Bitcoin has a colorful history and being familiar with its early development can provide helpful context about the people involved in its initial growth and the key drivers behind what brought it into existence. 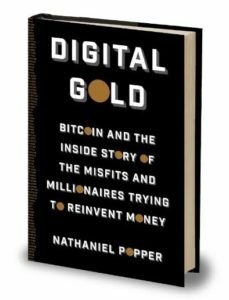 “Digital Gold” by Nathaniel Popper is a fantastic book that describes bitcoin’s early days and it’s a fun, easy read. Mr. Popper (Popper on Twitter) is a finance and technology writer for the New York Times and I suggest following his work there as well. If you’re looking for something more educational, ‘The Truth Machine’ by Michael J. Casey and Paul Vigna outline the vast possibilities and applications of the blockchain more generally, as well as the issues that may be encountered with its’ increasing adoption. The content is well-suited for non-technical people who are interested in this technology and what impact it might have in the coming years. They also authored a previous book together called ‘The Age of Cryptocurrency’ which focuses predominantly on bitcoin and its innerworkings. If you are more compelled by cryptocurrency than the architecture that it operates upon, pick up this book instead. Lastly, if you are interested in arts and culture, ‘Artists Re:Thinking the Blockchain’ may be the perfect book for you. It features very cool crypto art projects and includes essays from some of the most notable crypto artists and academics. It is my favorite blockchain book, thus far. To round out your information intake, I would advise signing up for at least one daily newsletter. If you just want a quick overview, One-minute letter by Cointelegraph offers a great summation. It literally takes one minute to read, giving you the headlines of the four major stories of the day and a link to a 24-hour cryptocurrency price analysis. “Token Daily” is more extensive but still easy to digest, delivering the news, launches and recommendations of recently published articles. If you want something that is a bit longer, I like “Inside Bitcoin,” which gives a roundup of the top ten stories of the day. And for an in-depth look at recent news and developments, “Block by Block” is a weekly newsletter that provides a comprehensive account of the last 7 days. It is the newsletter I most look forward to receiving. I would also suggest signing up for the Financial News Now newsletter, so you can have my latest articles sent right to your inbox! I will be regularly publishing content on all things crypto, providing educational material while also highlighting where I believe the space is going in terms of trends and investment opportunities. You can follow me on Twitter (@blakefinucane), where I post noteworthy articles, news updates and upcoming events. You are beginning to learn about something that has the potential to profoundly impact the world as we know it, creating a dynamic shift in how we view, transact, and store money and information. The sector is always changing and emerging, which makes it super exciting to be a part of. We are at the ground floor, with incredible opportunities yet to be discovered…and it all starts with knowing what to look for. Next post Have Lithium and Cobalt Become Bonafide Tech Plays? Hey Buddy!, I found this information for you: "Your Ultimate Education Guide to Crypto". Here is the website link: https://financial-news-now.com/your-ultimate-education-guide-to-crypto/. Thank you.